The glow on your face that you get after an hour of pampering bliss, with some highlights like the hydrating masque, the warm steam, and a gentle massage, can make you more confident in every way. You would definitely wish to have a relaxing session every day – if of course you have the time and can afford the money it takes to enjoy the service. But, is it fine to go for a facial every day? Does that "too much of a good thing can be bad" apply here as well? The truth is that your skin is very delicate and getting a facial too frequently may irritate, dry out, and damage it. In order to determine how often you should get a facial, you need to know your skin type as well as what types of facial are best suited for you. Most estheticians are of the view that you should get a facial once a month. They say so because your skin regenerates itself and the process of skin cells moving from the dermis to the surface of your skin takes about 30 days. Getting a facial after 30 days will help accelerate the skin's natural exfoliation process, which in turn will improve the overall appearance of your skin. However, your skin type also plays a role in answering the question, "How often should you get a facial?" Your skin may be normal, oily, dry, or a combination of all. You should aim for a once-a-month facial if your skin is normal, dry, or combination of all types. Getting it too frequently will leave your skin irritated. 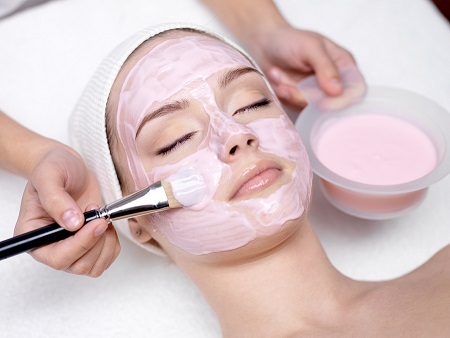 For oily and acne-prone skin, you may want to get a facial once a week, at least until your skin is clear. Your esthetician may also recommend some other treatments for this skin type, such as light therapy, peels, or Microdermabrasion. If you cannot afford it once a month, you should aim to get a facial at least once a season if you cannot get it once a month. Get it once in the summer because the humidity and sun can cause sun damage or breakouts. Similarly, getting it once at least in the winter will help keep the cold air from drying out your skin. Also, schedule an appointment with a skincare professional at least four times a year to ensure your skin is healthy. What are your skincare goals? You need to work with a great esthetician early in your life if you want best possible skin for a lifetime. Work with your esthetician to get on a good skincare regime and follow it religiously. How old are you? Your age determines how often you should get a facial. If you are young and have normal skin without breakouts, you can get facials less frequently because your skin generates new skin cells faster. Just follow a good skincare regime and keep your skin clear of blackheads to have healthy skin. You are going to need facials more often as you age. What is your location? You may need facials more frequently when you live in urban environments with more pollution. Depending on your environment, your skin may become dirty quickly and require facials more frequently to prevent blackheads and other blemishes. Once you know the answer to your question, "How often should you get a facial?" it is important to pay attention to some tips to get the most out of your facials. Do not get it too often and let your skin breathe after you get a facial. Do not apply makeup right after a facial. Relax and take a nap after a facial – avoid stressful activities for some time. Drink green tea or a mixture of honey and lime water after you take a facial to improve your metabolism. Do not take a bath with too hot or too cold water. Do not visit a high pollution area after getting a facial. Why Does Hard Skin on Feet Keep Coming Back?